The Green Girl wants to wish everyone a happy and prosperous Chinese Lunar New Year. The Chinese believe the Dragon is a special zodiac sign because it is a mystical being rather than an earthly animal. The Dragon is karmic sign which means karma will play a big role in our lives this year. Like last year's sign, the Rabbit 兔, the Dragon 龍 is said to be Wood. Wood rules the Eastern direction, and governs the season of Spring. Ruled by the planet Jupiter, the color of this element is Green. 2012 is a Water year. This means Water will nourish the Dragon's fixed element, Wood. This will bring good luck and make dreams come true. It is said that more babies are born in Dragon years than any other zodiac sign. According to the Chinese zodiac calendar, ever since 1996, the year element has been in a destructive relationship with the fixed element of the animal sign. This has been the longest unfavorable period in the 60 year cycle of Chinese Astrology. The year 2012 is considered lucky because it's blessed not only by the lucky Dragon but also the end of that destructive cycle. This is a significant year for me because I was born in the year of the Dragon. I believe this will be the year that I learn to let go and allow myself to dream. The Green Girl joined the Sole Runners for SoCalRunning.com's First Annual Unofficial Rose Parade Bandit Run. The Rose Parade is an annual event held in Pasadena on New Year's Day but if New Year's Day falls on a Sunday like this year, it's held on Monday instead. 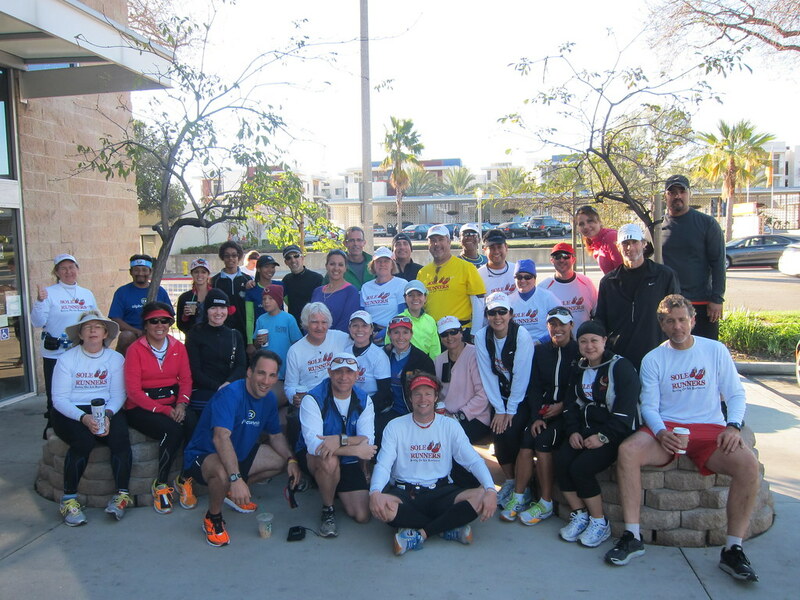 Coach Steve extended an open invitation to all runners for the unofficial event. The unofficial start for our Bandit Run was just east of the parade route. 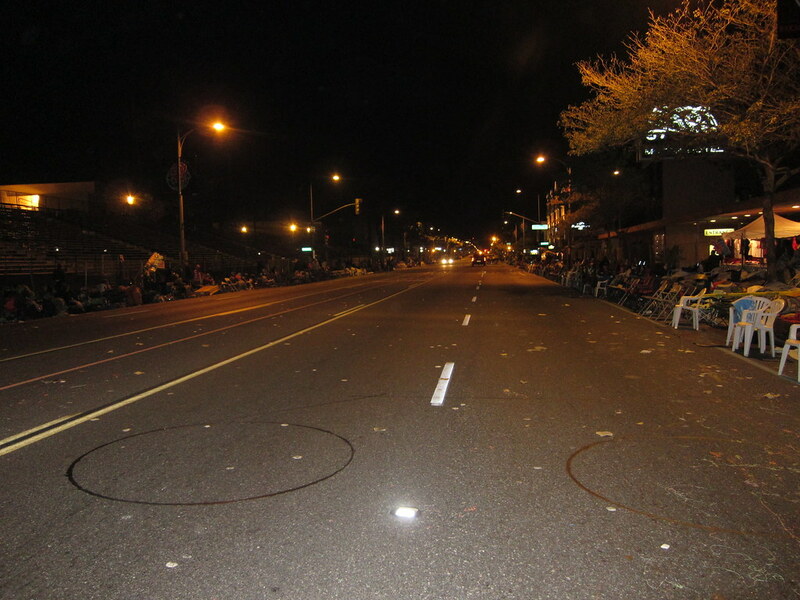 We seeded ourselves according to our anticipated float arrival times and headed west on Colorado Boulevard in our respective, informal pace groups. 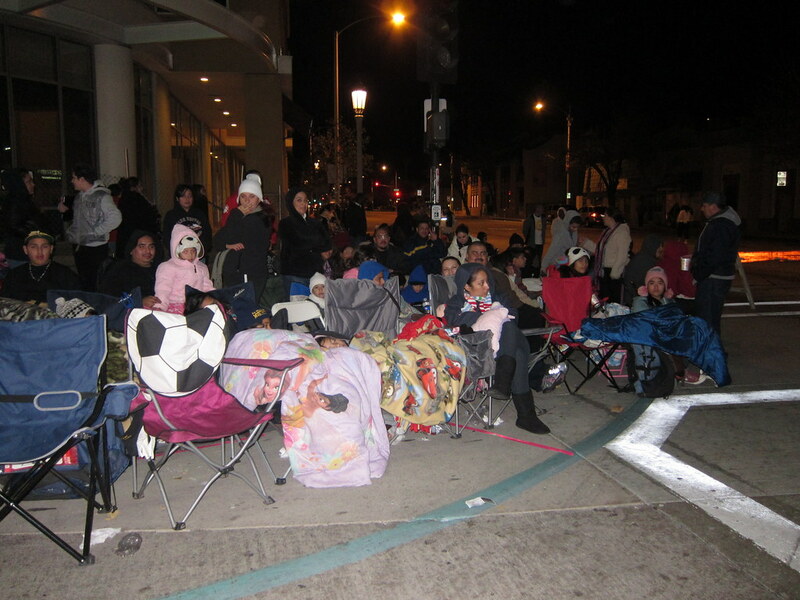 We received mixed reactions from the camped out spectators. Some of them enthusiastically cheered us on while others were incredulous. Quite a few hopped out of their sleeping bags and happily joined us but when they discovered we were planning on running the entire parade route, they expressed their disbelief and then promptly dropped back. For me, the experience could best be described as running a race with lots of spectators and not a lot of runners. But a race with fire pits. Which makes it hard to breathe at times. Celebratory giant marshmallows, tortillas, and silly string were splattered across the ground. 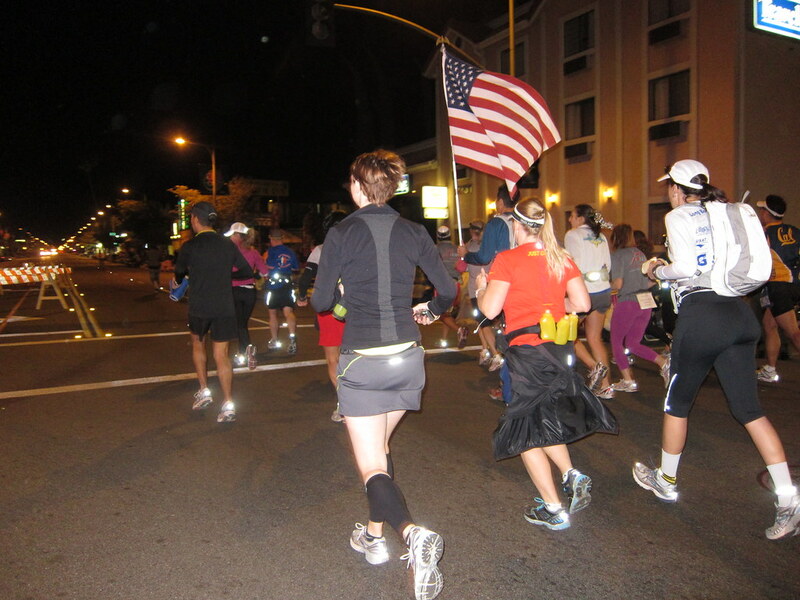 As I ran down the middle of Colorado Boulevard, I felt liberated. It was the perfect way for me to run in the New Year. 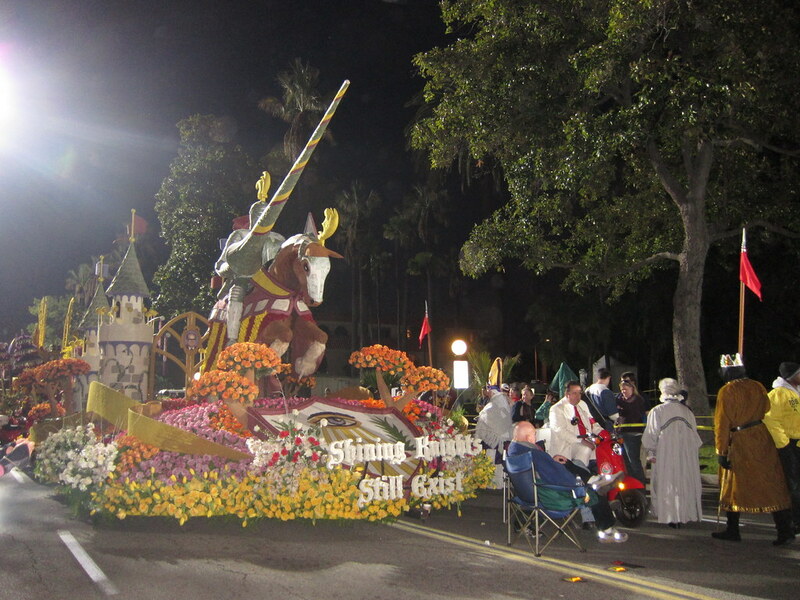 I was thrilled to be able to view the elaborate flower-covered floats up close. 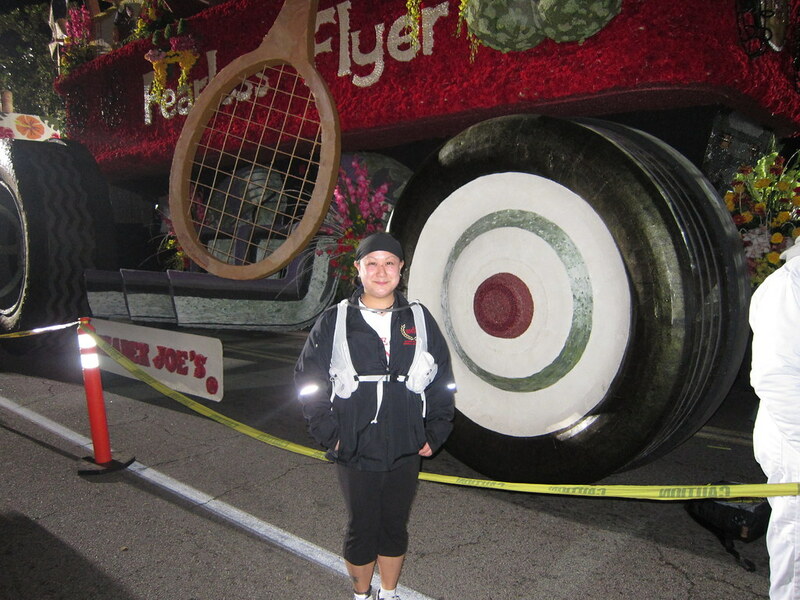 I couldn't resist posing for a picture with my beloved Trader Joe's Fearless Radio Flyer float. 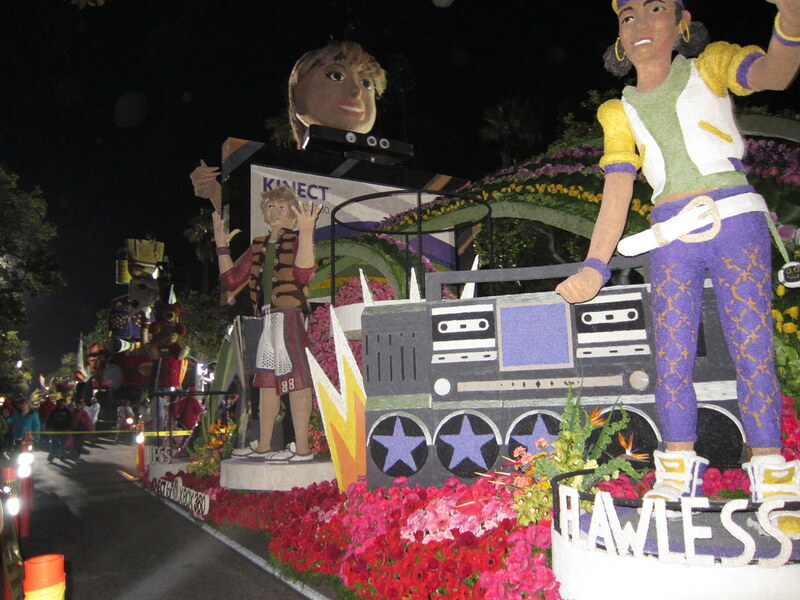 Post-parade, I learned the floats are dismantled and the flowers are recycled as plant matter and potpourri. About a half hour before the start, we headed back down the parade route. Colorado Boulevard was bustling with activity. Street vendors were selling souvenirs, cotton candy, and bacon-wrapped hot dogs. The B-2 stealth bomber flew overhead as we were running back. 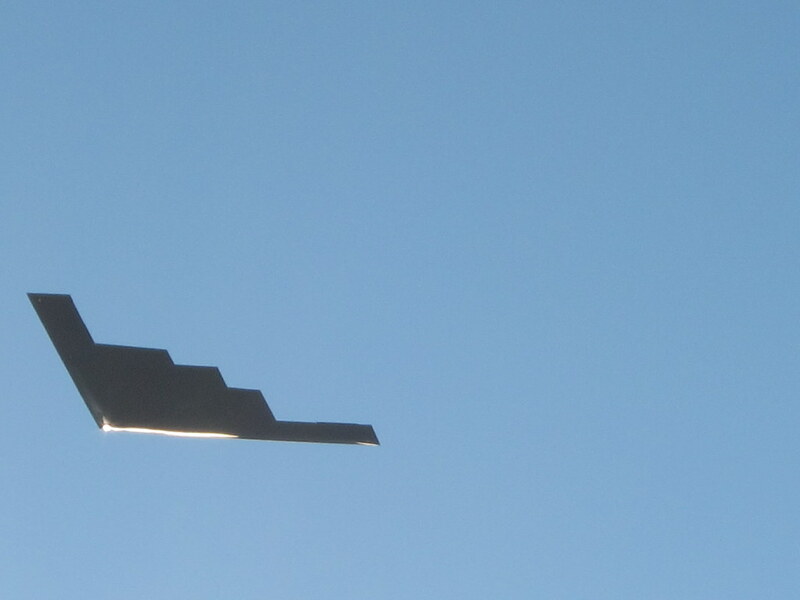 We all stopped to stare at the ominous aircraft in the bright blue morning sky. 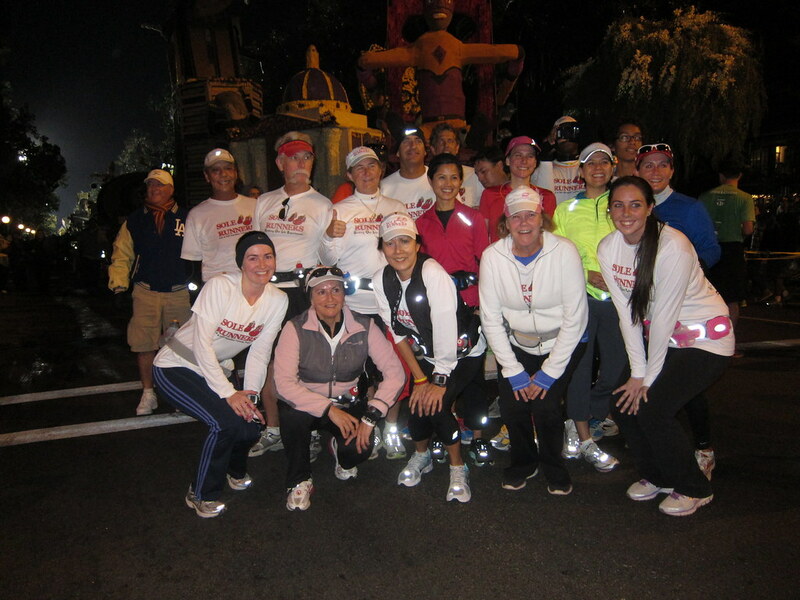 It was the perfect ending to the First Annual Unofficial Rose Parade Bandit Run. The theme of this year's 123rd Rose Parade was 'Just Imagine'. I was inspired by the theme because I tend to put limitations on myself because I'm so deeply rooted in facts. I struggle with the concept of dreams. I'm going to make an effort this year to allow myself to 'just imagine'.